The Beautyrest Black Low Profile Flat Foundation is an affordable option to provide your mattress with long term, high quality support. A box spring foundation goes underneath your mattress and on top of your bed frame. 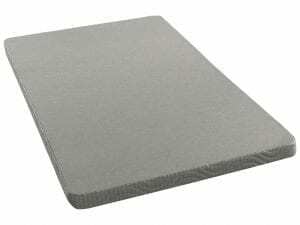 It is essential to have this support in between to prevent your mattress from sagging and breaking down over time. Most manufacturer warranties are void without a proper foundation like a box spring. Not using one will cost you comfort, time and and the life of your mattress. 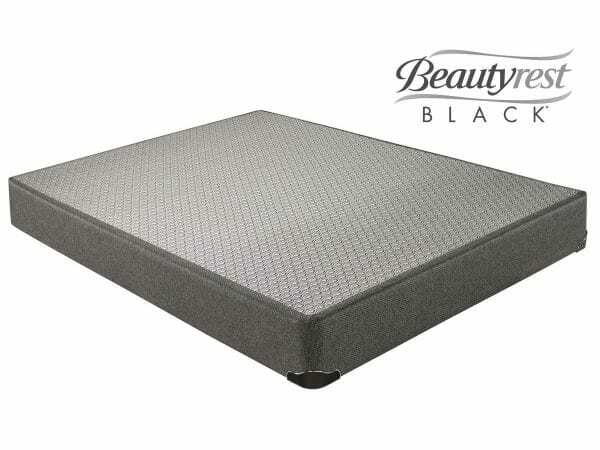 The Beautyrest Black Low Profile Flat Foundation measures approximately 8″-9″ high and is ideal for most mattress heights and is most commonly paired in stores. Depending on your preferences and your height, if you don’t have an extra plush mattress and a higher bed frame, then you may consider a standard box spring foundation instead. With the Beautyrest Black Low Profile Flat Foundation, you know you are purchasing a premium affordable foundation that is designed to resist sagging and provide reliable consistent support. Selecting a new mattress is a very important decision. At Best Mattress we know how important a good night’s sleep is and we guarantee that you will sleep comfortably on your new mattress. If you are not satisfied with the comfort of your mattress within 120 days of your purchase we will do whatever we can to make sure you are sleeping well. Best Mattress is committed to helping you find the right mattress and to your healthy night’s sleep. Best Mattress is a proud dealer of the Serta sleep products line. 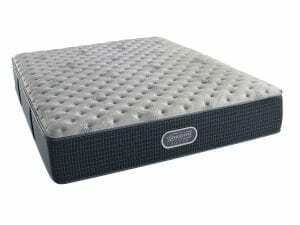 Best Mattress is a proud dealer of the Beautyrest sleep products line. Come and see why beautyrest is such a popular option for so many of our customers in Las Vegas and Mesquite, NV and St. George, Utah. Our sleep experts are ready to help you find the best sleep of your life!